Including appliance sale and renovation. One call could save you hundreds of shekels! Call before you replace an appliance. 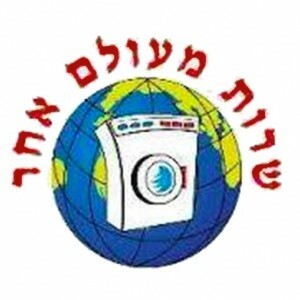 Authorized technician with 25 years of experience in the repair of washing machines, dryers, dishwashers, fridges, freezers, ovens, stoves and gas hobs. Expert in: AEG, Constructa, Phillips, Siemens, Bosch, Electra, Maytag, King, Crystal, Spectra, Miele, Elextrolux, Whirlpool. Fridges and freezers: Tadiran, Amcor, General Electric, Frigidair, Amana. Service lab: microwaves, radiation tests, vacuum cleaners. Licensed by the Ministry of the Environment. Fixed 10% discount on all electrical appliance repair services all year round! Licensed technician with over 20 years of experience. Exclusive fixed discount for ModiinApp users! Part of the app's category "Fixed Discounts All-Year Round". *Valid on every transaction, no duplication of offers.